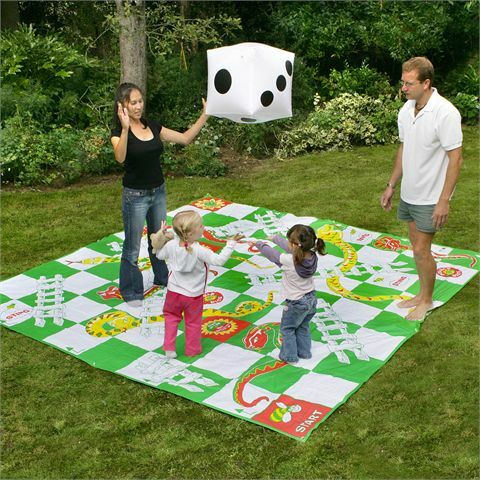 The Garden Games Giant Snakes and Ladders is a garden version of a popular board game. Here, the mat is 3x3m (118x118in) and the players act as counters. The mat has eyelet holes and pegs to fix it to the ground. It is made from durable material. The whole set comes in a compact box with carry handle. 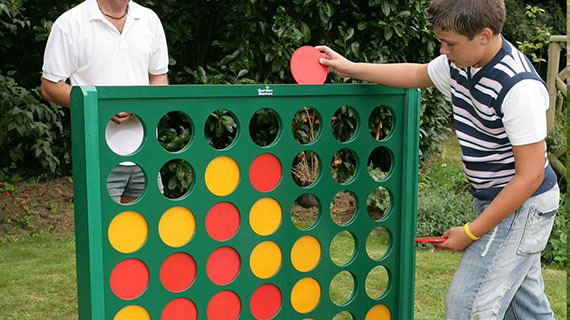 The Garden Games Big 4 is a fantastic garden toy that will entertain the whole family. It can be played by people of all ages. The rules are similar to Connect 4, where the aim is to form a row of four before the opponent does. The wooden frame measures 120 cm x 120 cm x 13 cm (47 in x 47 in x 5 in). The box contains 1 Big 4 Giant Garden Game, 42 plastic counters, 1 set of Instructions. Sweatband.com is a leading UK supplier of outdoor sports and games equipment. We stock all the leading brands, and with fast and free UK delivery. 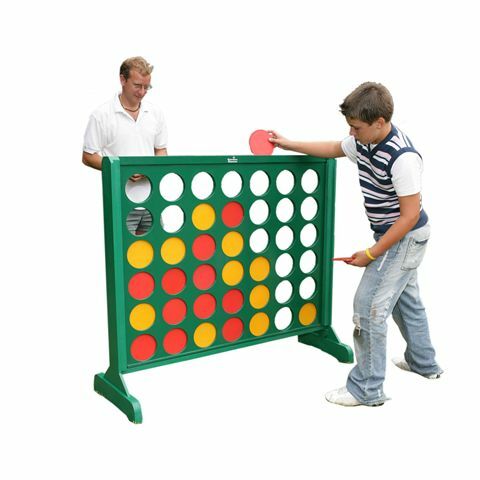 With a full range of croquet sets, outdoor table tennis tables and accessories, giant chess, basketballs, baseball equipment, softball equipment, cricket bats and outdoor games sets. 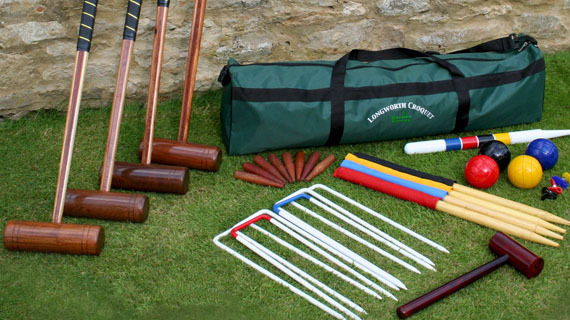 From all of the leading brands including Sure Shot, Baden, Gunn & Moore, Uber Games and Louisville to name but a few, all the products to suit your needs are available here with fast and free UK delivery.